Benny’s Tires in Lake Havasu City, AZ focuses on serving this community with the best Tire Shop Service and Road side assistance in Lake Havasu City AZ and Kingman AZ. We are a family owned company and have proudly been in business for over 10 years. Along with providing our customers with the best tire service in Lake Havasu City, we also offer roadside assistance and towing. 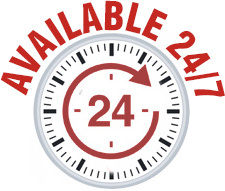 Benny’s Tires & Towing is a contact you need saved in your phone so you can call us anytime you need tires or roadside assistance. Tires lake havasu city, used tires lake havasu city, tire shop lake havasu city, new tires lake havasu cityTowing Lake Havasu City, towing service lake havasu city, roadside service lake havasu city. Tires kingman az, used tires kingman az, tire shop kingman az, new tires kingman az,Towing kingman az, towing service kingman az, roadside service kingman az.